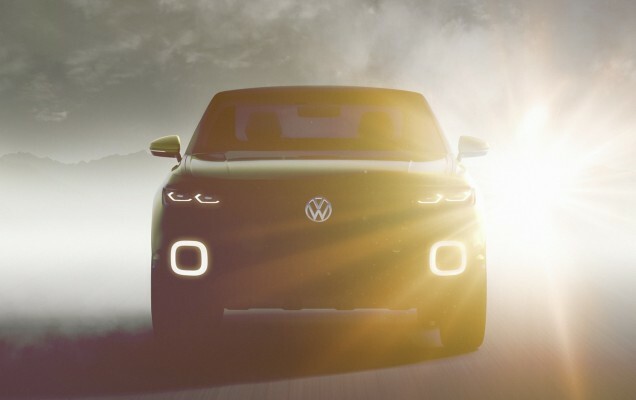 Volkswagen T-Cross concept has been teased officially ahead of its Geneva debut. The show is all set to surprise its visitors, which will commence from March 3rd. The new model in question here, will be based on the next generation model of Polo. 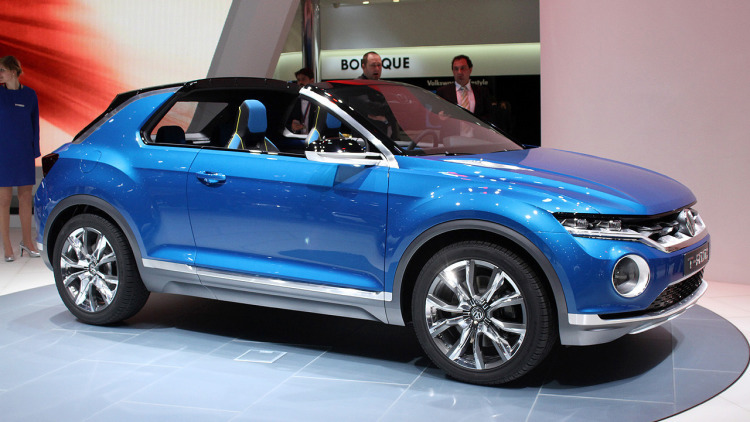 When launched, it is expected to join its older sibling T-Roc, which fits in its range. The automaker already sells Touareg and Golf-derived Tiguan in the full sized SUV segment. Furthermore, the company is also planning to reveal its updated small hatchback car up! and some updated versions of Tiguan at the same event. Thanks to the images that have revealed many details about this new T-Cross concept. It includes half hexagonal shaped DRLs, a high-riding concept with LED elements in the headlamps, a single slat grille, honeycomb grille, honeycomb air dam, fog lamps, turn indicators equipped on the ORVMs and a skid plate. Designed on the VW's MQB platform, the powertrain is said to be offered in three options, namely petrol, diesel and plug-in petrol-electric hybrid. A front-wheel drive as well as an all-wheel drive, would be offered as a choice. Talking about the Indian automobile market, Volkswagen is planning several launches, out of which, Ameo is the most awaited car by the brand.